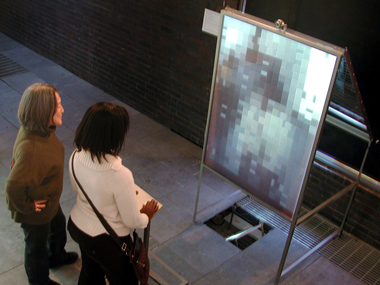 PixelPusher is an interactive video installation that continuously solves a real-time pixel puzzle. The user can change the size and speed of the pixels (puzzle pieces) by adjusting two sliders on a command console. The viewers image is captured by a web camera connected to a hidden CPU, processed, and displayed on a rearprojection screen. The system continuously processes the video stream by quantizing the image to the specified pixel size. 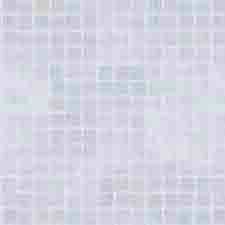 Each group of (4x4) pixels forms a puzzle to be solved concurrently. The video projector, rotated 90 for a portrait style, is positioned under the floor. The projection screen is mounted on a steel frame. The web camera is mounted over the screen. The sliders on the command console are connected to an OOPIC controller to be read continuously by the CPU.